Then the devil took him to the holy city and had him stand on the highest point of the temple. "If you are the Son of God," he said, "throw yourself down. For it is written: "He will command his angels concerning you, and they will lift you up in their hands, so that you will not strike your foot against a stone." The way I immediately interpereted this was that Jesus was having suicidal thoughts. Is this correct, and if so, do we know why? Is this the only point in the bible where Jesus does have suicidal thoughts? "throw yourself down. For it is written: 'He will command his angels concerning you, and they will lift you up in their hands, so that you will not strike your foot against a stone.'" In other words, Jesus would not be killed by throwing himself off the temple, and the temptation is to demonstrate this. Wasn't he in every wise tempted as we, but without sin? From this perspective I think that it's very possible that he did, but probably not in the verse from your question. Unless being depressed at all is a sin, but it seems to me that suicide is the sin and depression would be the temptation. The passage has nothing to do with Suicide and everything to do with temptation. In order to understand the Gospel as it has been preserved one must understand first, what we fell from, and Second, what we aspire to rise to. The temptations giving to Christ are the same as those outlined in 1 John 2:16 "For everything in the world--the lust of the flesh, the lust of the eyes, and the pride of life--comes not from the Father but from the world." These 3 temptation presented to Christ make up those same temptations that were presented to Eve that caused our first parants to embrace sin and death. Gen 3:5 But the serpent said to the woman, "you will be like God (Pride of life) knowing good and evil"
Now when our Lord and Savior, after fasting for 40 days and nights was approached by Satan,he was hungry. His first temptation, withen his power was to take Rocks and turn them to bread. This desire of the flesh to eat must have been extreme, Christ had been fasting for 40 days and the creator of the world who made the universe out of nothing and could easily have changed a few rocks into bread. It is important to notice here the method by which christ is teaching us, the 40 days represent the 40 years in exodus and Christ Humbling himself as God The Father humbled Isreal in the dessert, testing them to see wether they would keep his commandments or not. (See Deut 8:3) Where Isreal Failed, like our first parents, and we also fail, Chirst succeedes and concures the desires of the flesh. Then Satan tempts Christ to show his power as it is written in Ps 91:11-12. He is effect is putting Christ to the test, "show me your power" and Christ says in effect "no" "You shall not tempt the Lord your God" He is humbled himself even more, not pridefully using the power given to him, but humbling himself and being obedient to his mission. Then the Devil took him to a very High Mountain and showed him all the kingdoms of the world and all the Glory of them; and he said to him " all these I will give to you, you will fall down and worship me"
This is what Chirst came for, this is what his mission was, to bring the world back to God and restablish the Kingdom of David, the Church. The possibility of doing such a think without suffering the Cross, imagine the temptation any man might have with this offer, getting all things without suffering. This was the "lust of the Eyes" it is what chirst in his flesh desired, to avoid the pain of crucifiction and have all kingdoms under him. Lust of the eyes. Chirst once again, as always in his life, was obedient to God the Father united in purpose. The passages of Mathew 4: 5-6 have nothing to do with suicide or any other individual sin. It has to do with all sin as all sin can be attributed to the 3 charactoristics listed in 1 John 2:16. Christ took Sin on himself, having suffered the greatest of temptations and concurring sin and death on the Cross. He did this perfectly as the spotless lamb. Our Goal as Christians is to emulate Chist in this by entering into his Passover, by uniting to him Through Baptism and the obedience of faith. Having been saved at baptism we as Christians in this "vale of tears" are continuelly tempted by the Lust of the Eyes, Lust of the Flesh and the Pride of Life. As we work to overcome these obsticales, the Church Christ founded gives us a means through it's sacrements to repent biblically and work towards our complete sanctification by uniting our efforts to Christ sacrifice on the Cross. Col 1:24. Not suicide but the relationship lost in disobedience now restored through and by emulation of Christ through and Obedience of Faith. I don't know why you interpreted it as Jesus having suicidal thoughts. If anything he was having delusional thoughts to jump off and have angels come to prevent his fall. So this is not a passage of having suicidal thoughts. Marc's answer falls apart as soon as he hits the scripture you referred to. That's disappointing, it was getting really good up to that point. This entire passage reveals a lot about our savior and our enemy. It reveals Satan's cunning and nerve, and Jesus' struggles and obedience. The only other passages that give us such a look into Jesus' struggles are those of him in the garden of Gethsemane. We can actually learn a lot about his deepest struggles from these two passages, as they both reveal the same struggle. From the start, Jesus knew that if he were to be obedient to the path God the Father had set out for him, he would have to sacrifice himself for a world that hated him, would reject him, and even those that accepted him would struggle to imitate him. In Gethsemane he makes his struggle clear; "Father, if it is possible, may this cup be taken from me. Yet not as I will, but as you will.” (Matthew 26:39) Jesus did not want to be separated from God and drink the cup of His wrath to pay for the sins of all of mankind. He did not want to be "marred beyond human likeness" (Isaiah 52:14). Satan knew this all too well, and tempted him at his weakest. After 40 days of not eating, Satan tested Jesus' obedience with the temptation of turning stones to bread. Jesus suffered the temptation successfully, showing no signs of breaking, but Satan came in next with temptations to fight directly with Jesus' deepest struggle. Satan offered him two ways out; the first was suicide. He disguised it by quoting prophecy, making the fall seem inconsequential; why not jump? You're the son of God, and prophecy says that He will send his angels to save you. The second of course was avoiding the sacrifice altogether; I control the world that you have every right to rule. Bow to me, recognizing my authority as the god of these people, and I will hand all of them over to you, no hassle. Of course, Jesus resisted the temptations, which is encouraging for the rest of us to reflect on. Not the answer you're looking for? 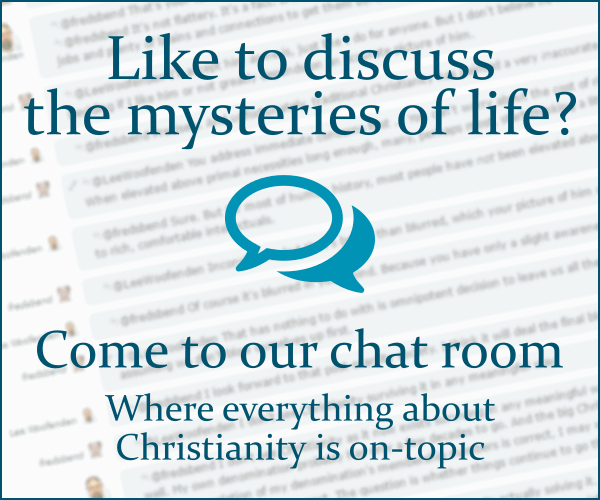 Browse other questions tagged life-of-jesus exegesis gospel-of-matthew suicide or ask your own question. What is the practical application of the story of the woman caught in adultery? Was 'Jesus and the woman taken in adultery' in St. John a later addition, and does this invalidate infallibility? What is the significance of the three distinct aspects of the temptation of Eve in the garden? Where did Moses write about Jesus? Is it contrary to any Christian belief or doctrine to believe that Jesus deceives us in order to protect our souls? What is the significance of the angelic visitation of the shepherds after the birth of Jesus Christ? Why do Mathew and Luke present a different order of Satan's temptation of Jesus? What is the Catholic explanation of the particular temptations of Jesus in the wilderness? Did Jesus visit the temple before the wise men came? Is there consensus between Christian commentators about how Jesus came to be atop the temple when being tempted by Satan in the wilderness?